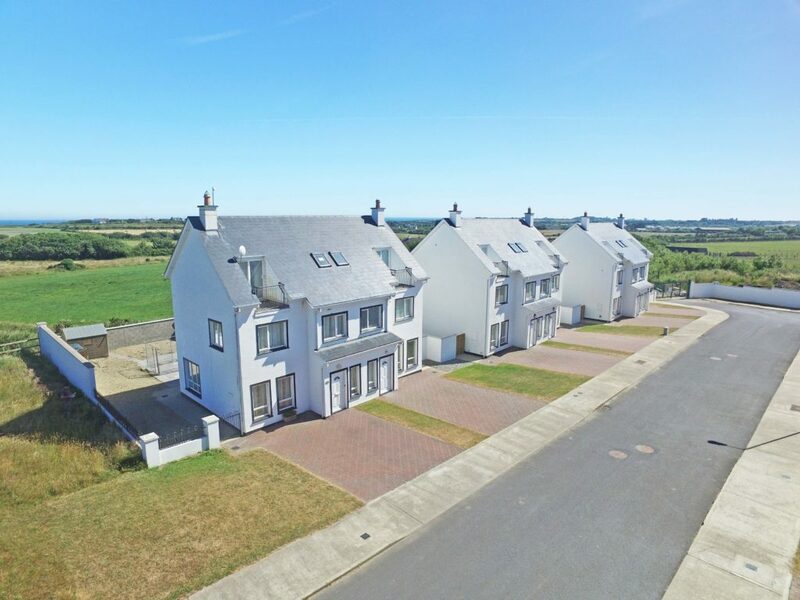 This is a unique and rare opportunity to acquire a home within 200 metres of the sea, enjoying endless private beach walks and all that Rosslare has to offer. 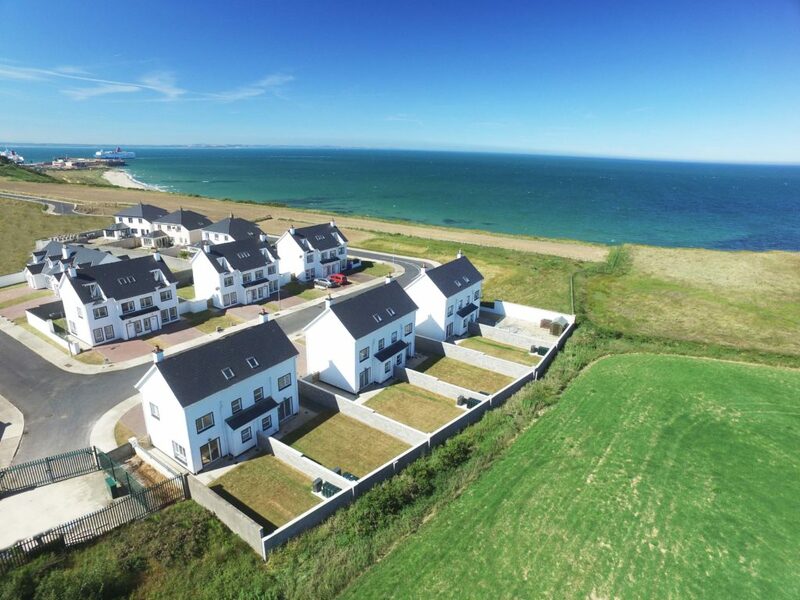 Barr Na Haille is set on an elevated site with panoramic coastline views stretching north and south of County Wexford. 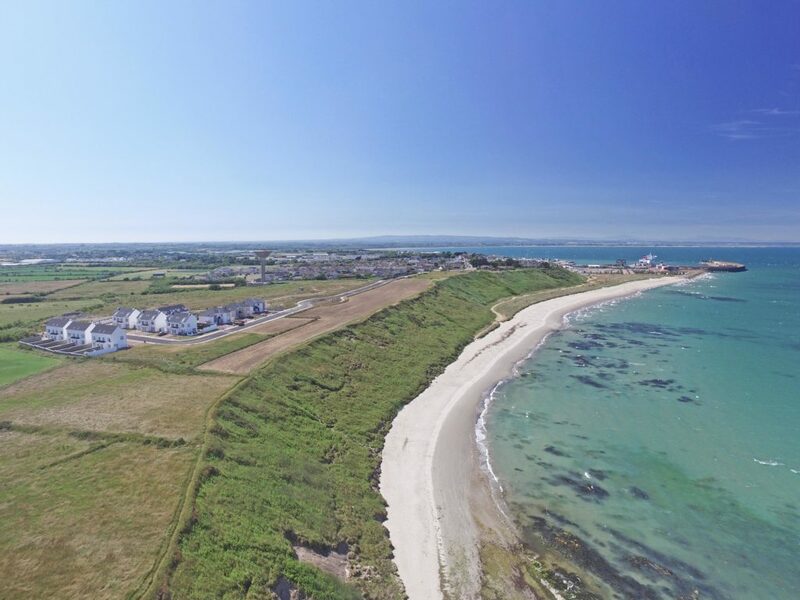 200 metres away is one of the many beautiful secluded and private sandy beaches in this area which boasts miles and miles of amazing beaches and hill top walks. 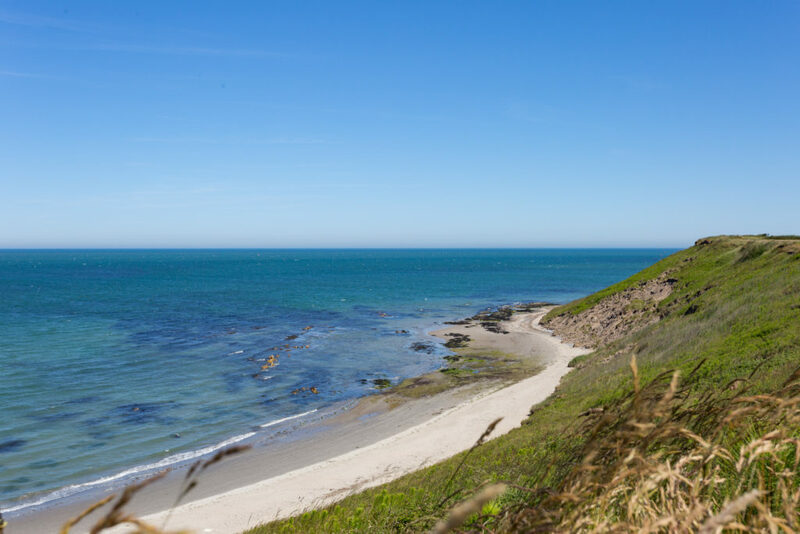 The area is a haven for wildlife such as whales, basking shark, dolphin, porpoise, seals, gannets, puffins, to name but a few. 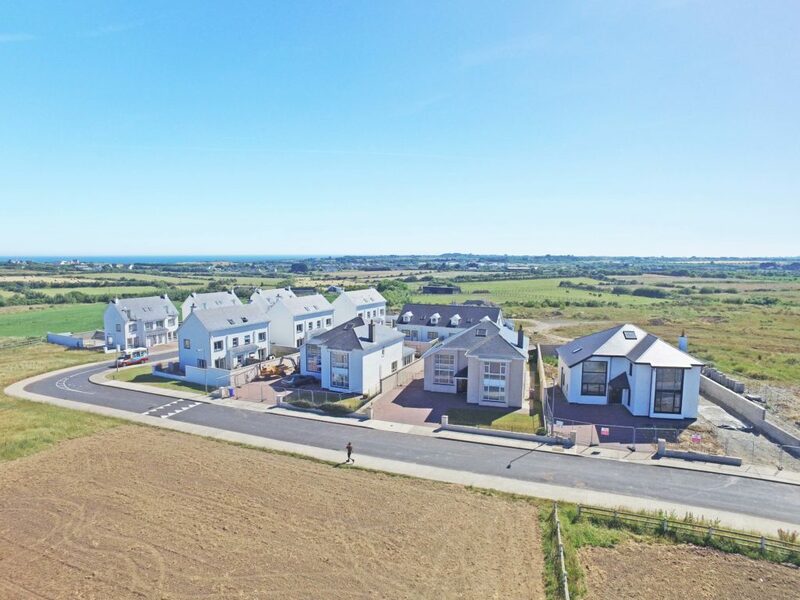 Surfing, canoeing, beach and sea fishing, cycling, horse-riding, and tennis, are just some of the outdoor activities available in the surrounding area. 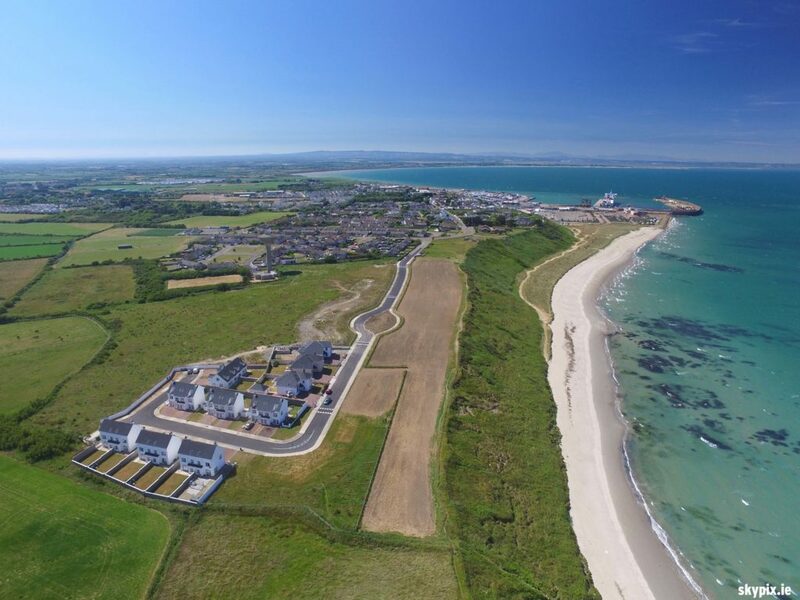 For the golf enthuasiast there are numerous renowned golf courses such as St. Helen’s Golf Club which is a short walk along the beach, Rosslare Golf Club, Wexford Golf Club, and many others. No. 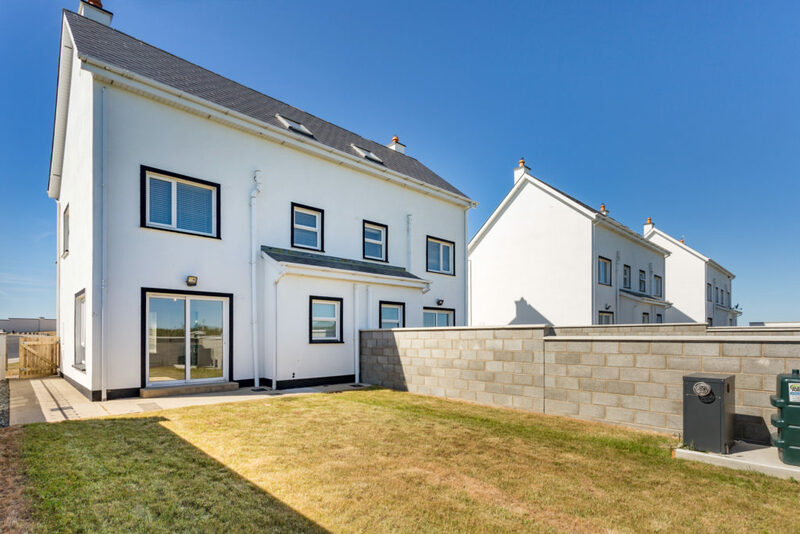 41 is a superb three storey house that boasts three bedrooms, three bathrooms with third floor balcony to enjoy those amazing sea views. 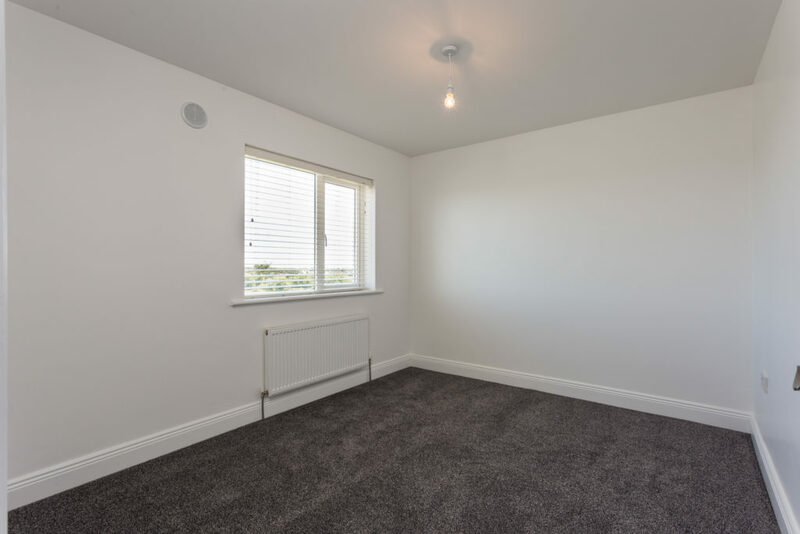 This house has been finished to a really high standard, carpet, wood and tiled flooring, solid multi fuel stove, oil fired central heating, fitted kitchen, painted internally and externally, walled gardens to the rear, and off road parking to the front. 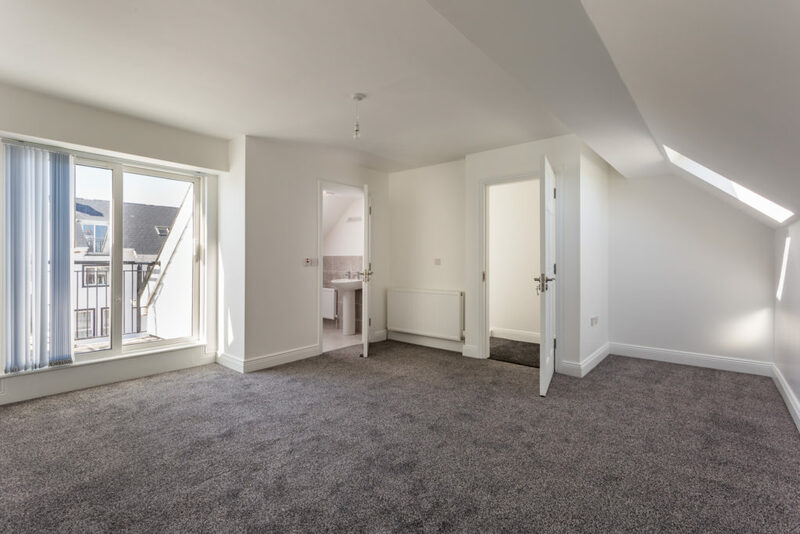 If you like convenience and location then look no further! 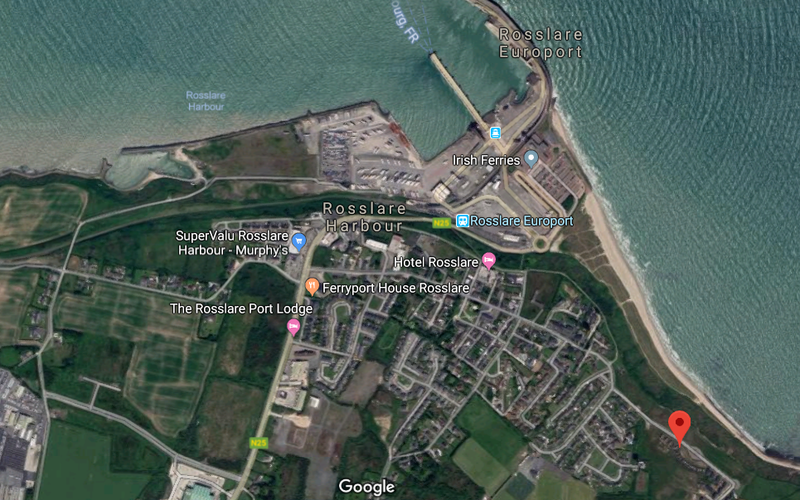 Rosslare Harbour has just about everything you need, Shops, Café’s, Supermarket, Bank, Pharmacy, Petrol Stations, Primary School, Garda Station, and Rosslare Europort for direct daily services to the UK and mainland Europe. 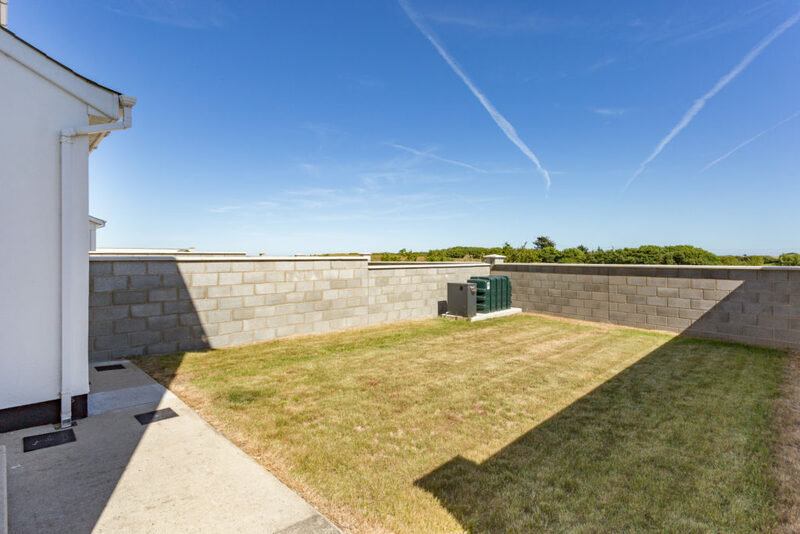 Whether you want a home, holiday home or buy to let property this is the location. The swallows have made their homes here! Why don’t you? 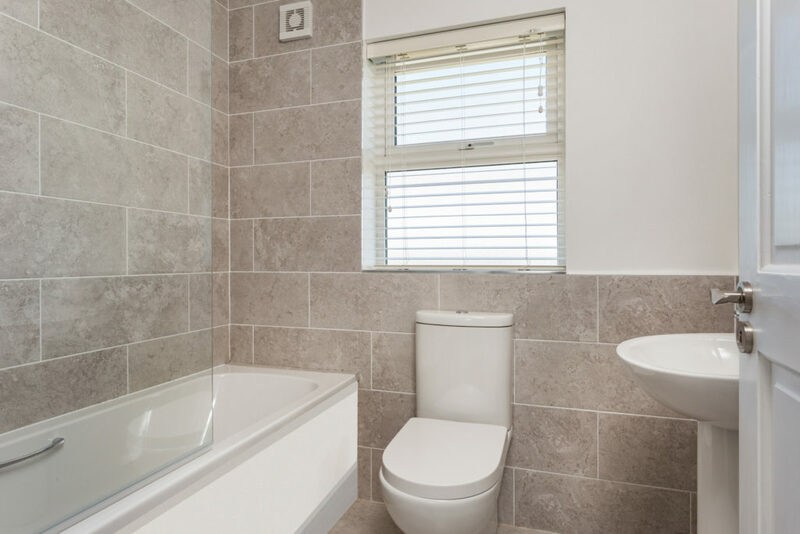 Ceramic floor tiles and tiled walls, w.h.b. 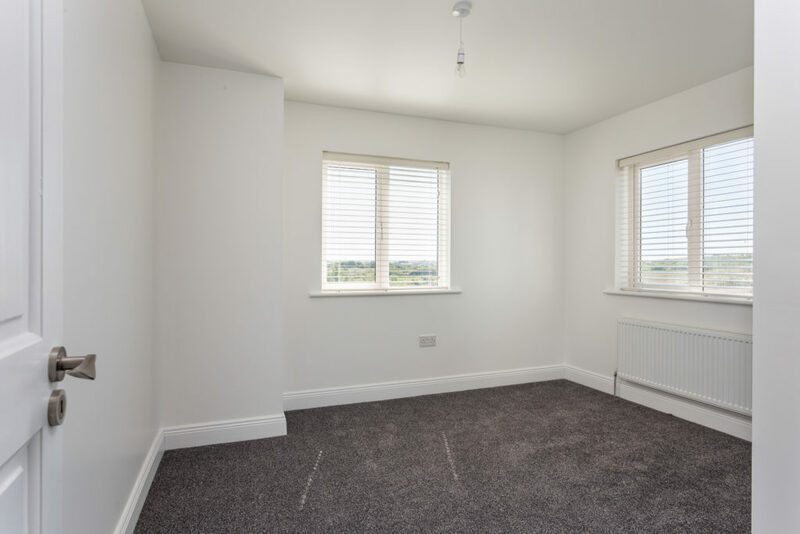 & w.c.
Lovely bright and spacious open plan living, dining and kitchen with timber and ceramic flooring. 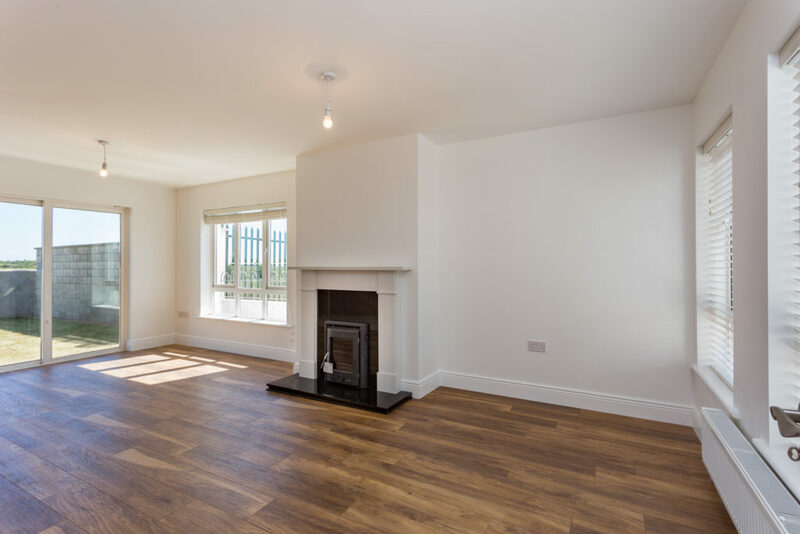 high output multi-fuel stove, marble surround and hearth. 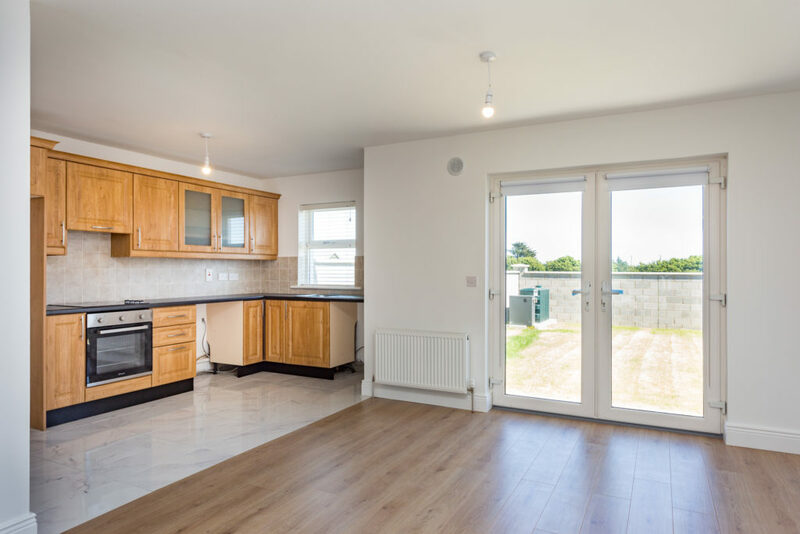 Patio doors to rear garden, eye & waist level fully fitted kitchen. 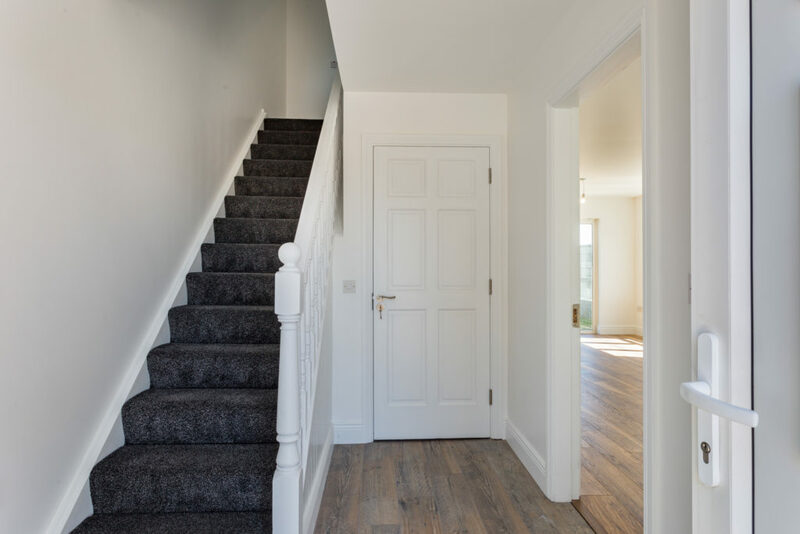 Stairs to 1st floor land with carpet to floor and doors to spacious hot press with insulated hot water tank. 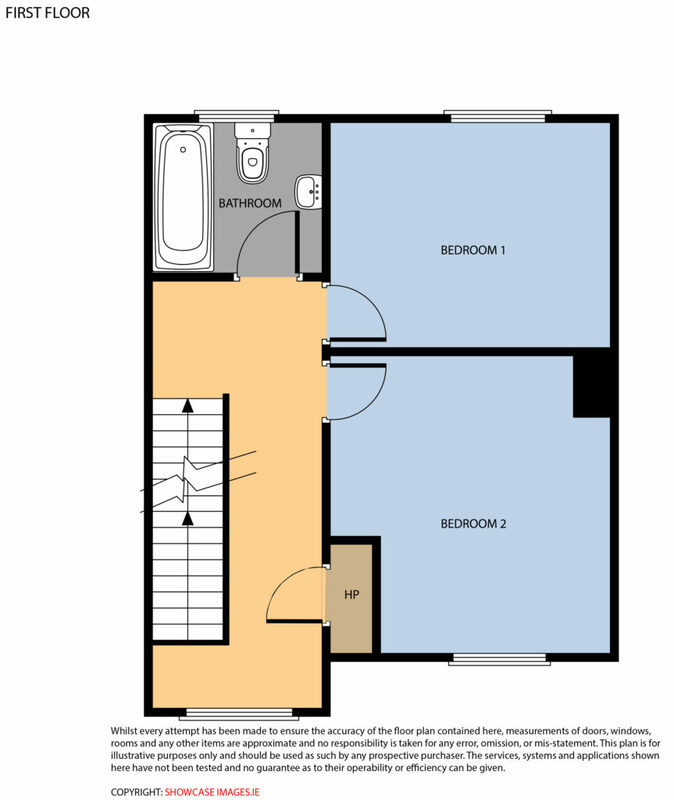 With ceramic tiled floor and walls, bath with Power Shower, shower screen, w.h.b., and w.c.
To front of house with carpet to floor. 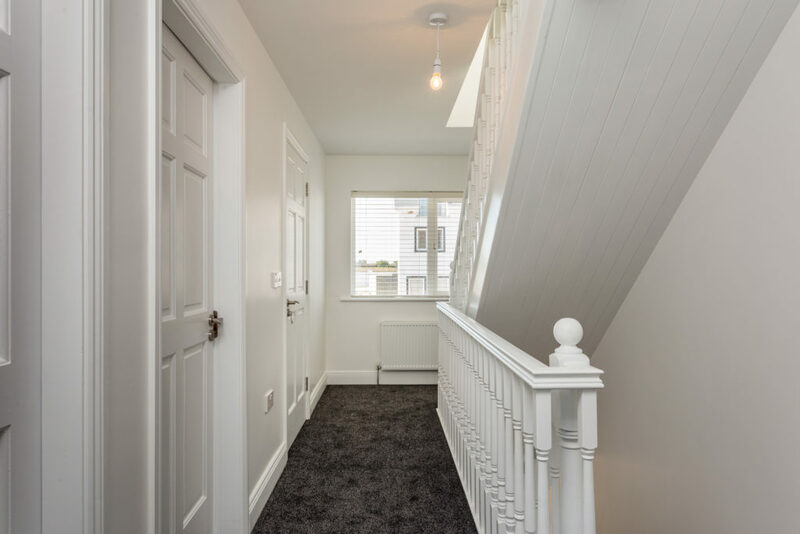 With french doors to balcony with beautiful sea views, velux roof window to rear, carpet to floor and TV point. 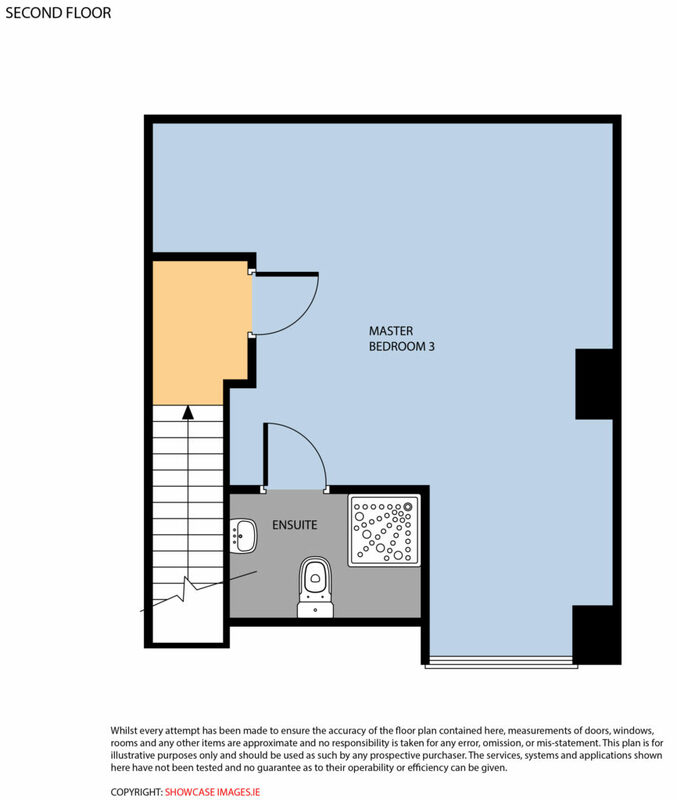 Ceramic floor and part tiled walls, electric shower, w.h.b.and, w.c.
On entering Rosslare Harbour from Kilrane/Wexford turn right at the Church. 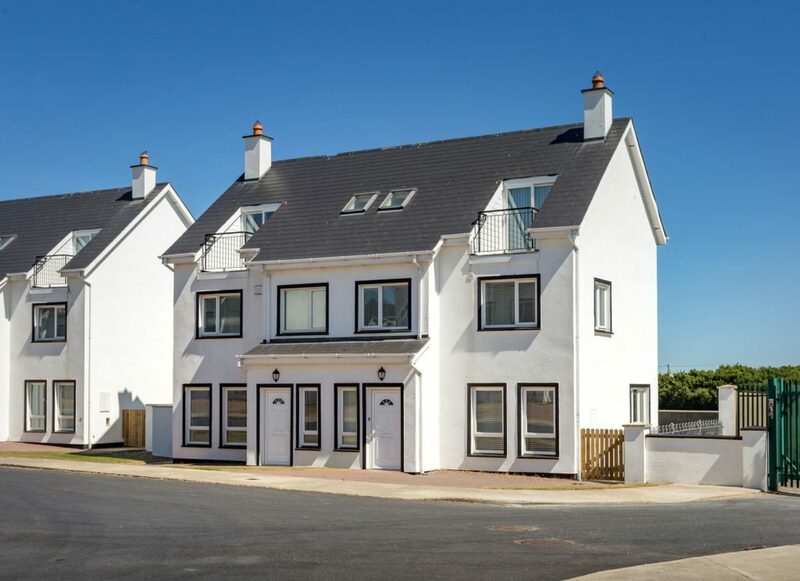 Continue down this road passing the Garda Station and playground on your left hand side. Take the next left, on entering development follow the road around to the right and No. 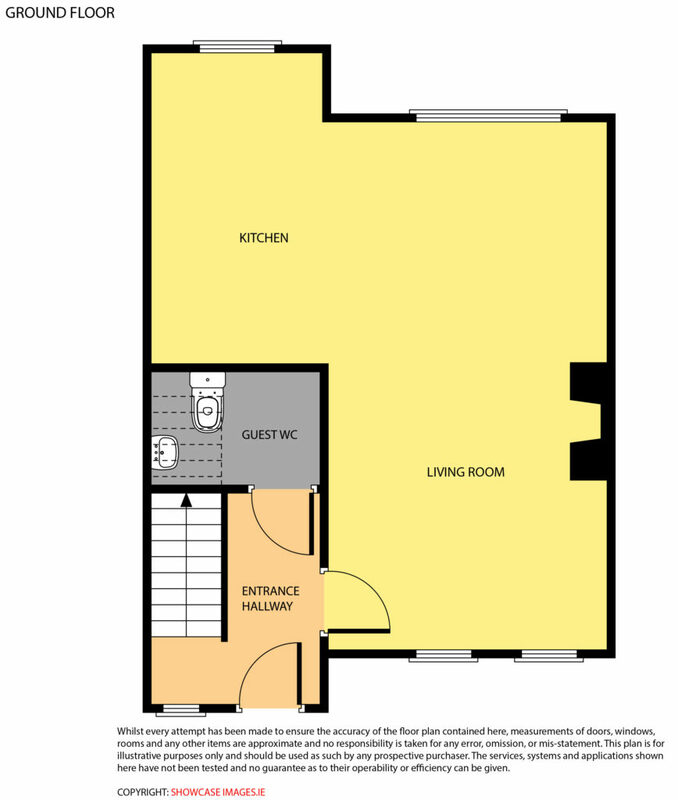 41 is the last house on left hand side and marked with a For Sale sign.